Stone & Surface Saudi is your access to a multi-billion dollar market for stones and fit-out market. The demand for high-quality stone and fit-out materials in the Kingdom is fueled by the active construction projects including some notable mega projects in the country like Al Ruwais Redevelopment valued at USD 13.3 billion, Al Faisalya City valued at USD 25 billion, Jeddah Metro valued at USD 8.5 billion and ,many more. Many of the mega construction projects require millions of tons of stone provided by both domestic and international suppliers. If you are a manufacturer, distributor or supplier of stone and surface design related products, then Stone & Surface Saudi 2019 is the perfect platform for you. 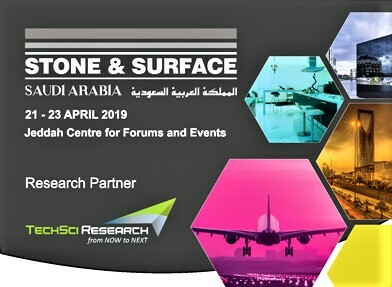 TechSci Research is the research partner for Stone and Surface Saudi to present insights on Active Mega Projects in Saudi along with Saudi Arabia Construction Market Outlook, 2019. Automechanika Dubai 17th edition opens up a world of possibilities that you won’t find anywhere else. It is the international trading platform for aftermarket professionals within the MEA region to meet, connect and source from over 1,955 exhibitors under one roof. It’s a platform for manufacturers, trade audience & service provider. More than just a trade show, Automechanika Dubai is also a platform that supports knowledge sharing and networking. Engage with key industry experts to stay up-to-date on the latest trends, new innovations and changing dynamics of the automotive sector. TechSci Research is the proud research partner for Automechanika Dubai to present insights MIDDLE EAST AND AFRICA AUTOMOTIVE AFTERMARKET.